Choosing a Kenya tour operator was a straight forward affair in the days when Kenyan travel was controlled by a few wholesale tour operators. All you had to do was visit your preferred travel agent's office or ask for a brochure by post. 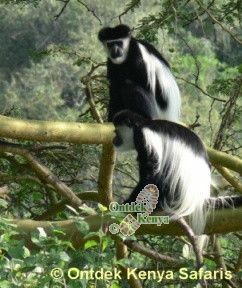 You chose your preferred safari in deep trust that your travel agent has carefully vetted the local Kenya tour operator who will handle your safari on the ground. The whole travel chain had in-built checks and balances which were legally bidding and the traveler was the winner except in the area of safari prices, which were astronomical as each level had to add their profit margins. With the internet you now have access to thousands of local Kenya tour operators, with the advantage that you can book your safari-holiday at a fraction price of what an agent in your country can give you. The disadvantage is that the responsibility of vetting which operator to book with rests on you and should you fail to do due diligence, you suffer the consequences. Don't take comfort that if things go wrong you can seek legal recourse, the truth is if your Kenya holiday safari doesn't go right you can't get a fair compensation for the time lost, emotions ruined and the shear frustration that comes with it. 1) Get to know the real people in the organization. Avoid the "About Us", which is too vague. Assuming the operator is a small local company, why should he not reveal his identity? 2) Check how long the Kenyan safari operator has been in operation - this will help you avoid the here-today-gone-tomorrow operators. While there is no rule that the new operators are doubtful, you certainly must see that you don't become the safari company's experimental client. 3) Does the Kenyan safari operator have the expertise for your specific needs? If he can't directly supply your need, this should be a red flag. 4) Ignore your budget and do your research as though money is not a problem. This widens the pool of the Kenya tour operators whose resumes you'd want to consider and you avoid being locked-up with safari operators with doubtful reputations. Then narrow down the candidates to suit your budget and interests. 5) What do the travel reviews and past clients say about him? Trust the grapevine - if your Kenyan holiday and safari operator is up to scratch you will hear it in forums or advisory portals. However be watchful for out-dated and self-authored trip reports and unverifiable client comments. 6) Membership in fee-paying tourism associations. While these bodies have noble ideas, there is a very good reason why they put a disclaimer in their members list. Read and respect the disclaimer. Don't let your guard down just because the African safari operator appears in every possible fee-paying body. 7) Last but most important, surprise him with a phone call. Match his words with info in his web site and from emails. By the time you put the phone down, you will definitely know if he is the right African safari operator for you. 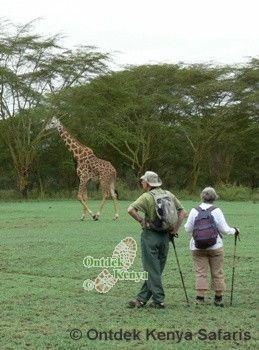 For a consultation on Kenya holidays and safaris contact Ontdek Kenya Safaris, experts in nature safaris since '96.